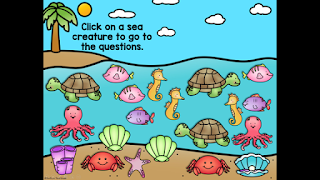 Students will click on any of the sea creatures to go to the questions. 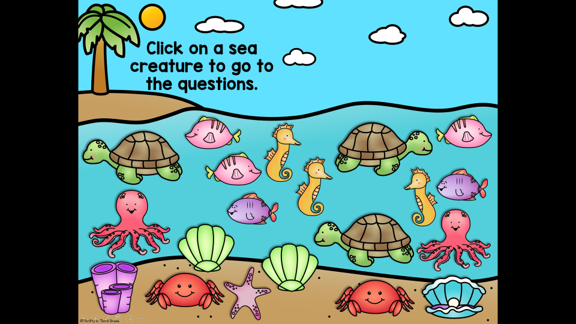 There are twenty different questions for students to answer. 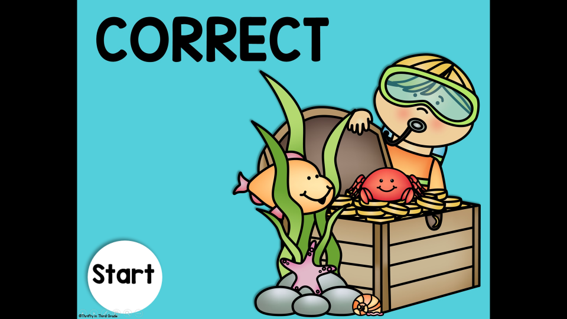 Once students click on an answer, they will be taken to one of two screens to tell them if they got the problem correct or incorrect. A recording sheet is included for students to record their answers, AND color in a sea shell if they got it correct. 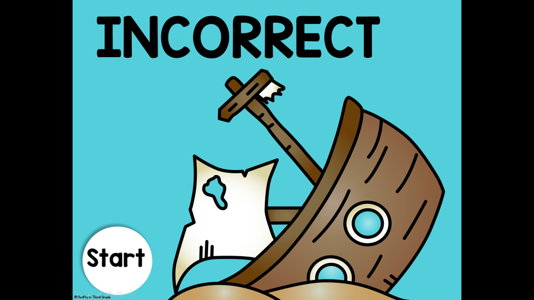 They can turn it in to you when they are finished playing the game for accountability! 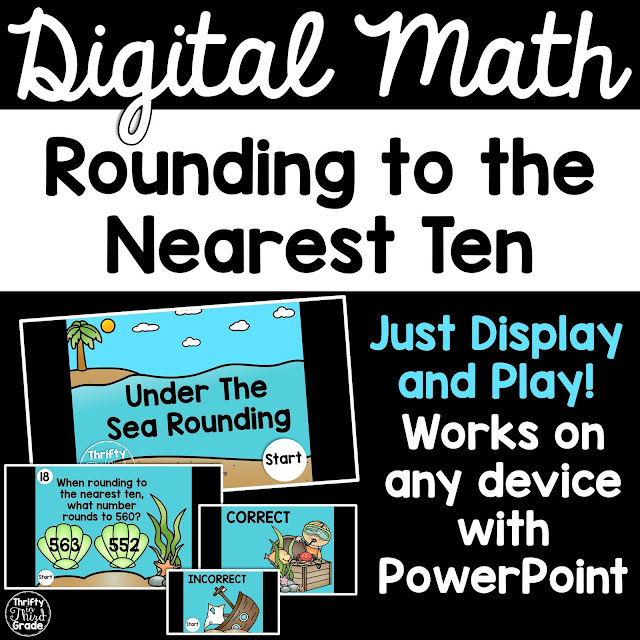 These digital games work on any device with PowerPoint. 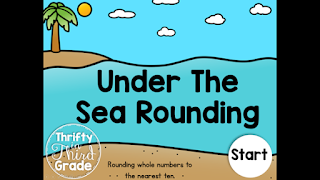 You can also open them with Google Slides and view as a presentation to play the game. 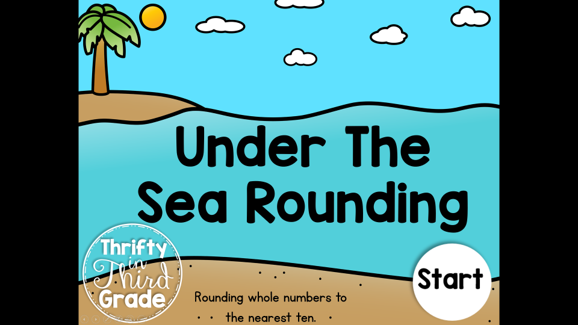 If you'd like to make sure you can work these games on your devices in your classroom, download this Under the Sea Rounding game for FREE! 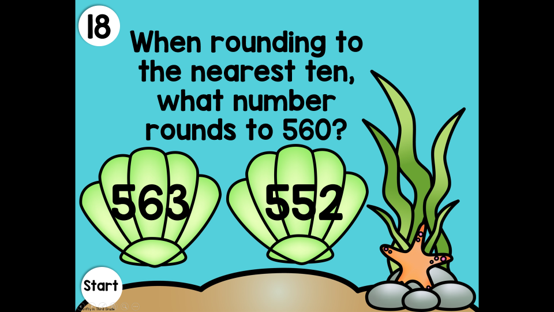 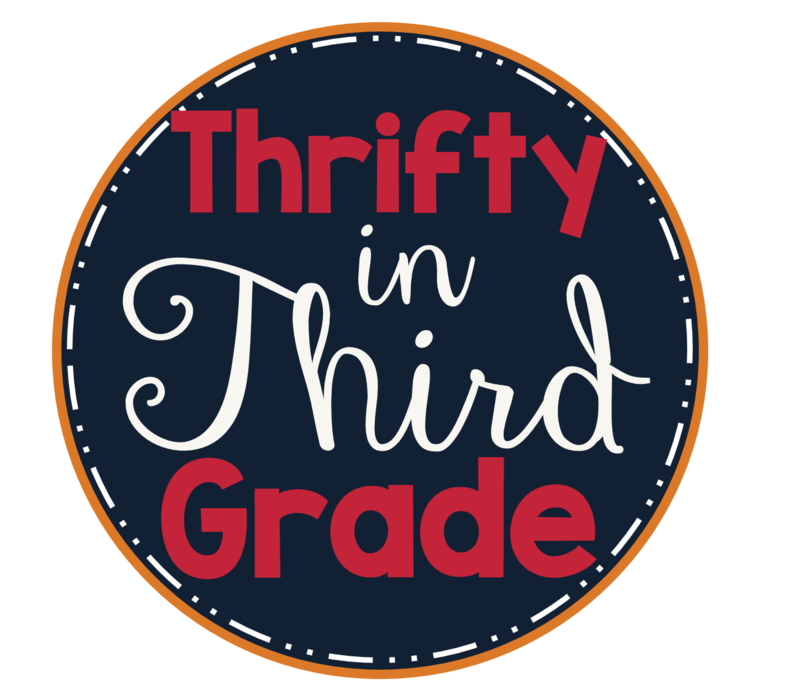 If you like it, be sure to come back for my other Digital Math Games!